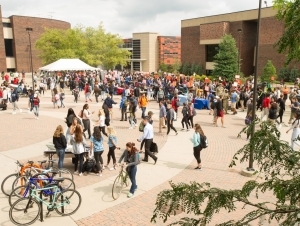 As the fall semester gets under way, there are many events being held on campus to welcome back returning students, faculty, and staff. Here a few of this week’s highlights. Thursday, August 30, 11:00 a.m. to 1:30 p.m. This fun and casual event provides Buffalo State students with information about part-time job opportunities on campus and in the community. More than 50 local organizations will be in attendance looking to hire Buffalo State students to fill their part-time job and internship opportunities. Employers will have applications for students to complete and some will conduct on-the-spot interviews in an informal, relaxed setting. The rain location for this event is the Student Union Social Hall. Free. Friday, August 31, 6:00 to 8:00 p.m.
A welcome back event sponsored by the Criminal Justice Club. Along with free hot dogs, hamburgers, and drinks, games like kickball and tug-a-war will be available. The Criminal Justice Club offers volunteer-, internship-, and leadership-experiences for those interested in legal and law enforcement careers. Free. Saturday, September 1, 4:00 to 10:00 p.m. The first of three events in the “Pillars: Hip Hop in WNY” series celebrating Buffalo's hip-hop community with live music, poetry, and painting. The lineup of performers includes Billie Essco, Chill Ali, Bagel Jesus, Solomon Dixon, DJ ToneyBoi, DJ Milk, and Dev11n. Free. Saturday, September 1, 7:00 to 10:00 p.m. Sponsored by the Caribbean Students Organization (CSO) and United Students Government (USG), this second annual event celebrates Caribbean culture through music and dance. As is tradition, J'ouvert participants cover themselves in white powder which will be distributed to partygoers. Free. Buffalo State ID is required. Sunday, September 2, 11:00 a.m. to 4:00 p.m.
Join CSO, USG, and the Xquizit Moverz Association for a holiday parade. Participants will meet at the Sports Arena with flags and costumes and march around campus. The parade ends at the Horace Mann Quad where food trucks, games, and music will be provided. Free. Have an event you want to be included in a future 'Look Ahead' article? 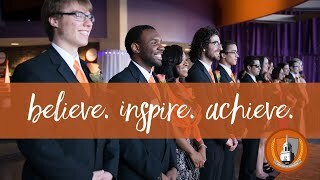 Submit a listing to the events calendar and email webadmin@buffalostate.edu.